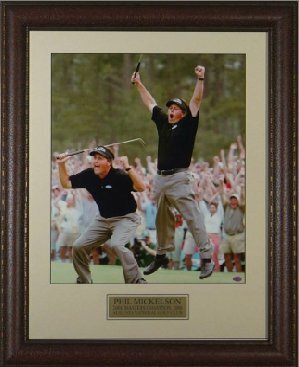 Phil Mickelson unautographed 16X20 photo. Custom Leather Framed and Matted. The Famous 2 pose "Jump" Photo celebrates his 2004 Masters victory on the 18th hole at Augusta National.